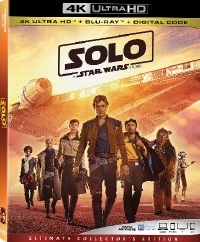 Solo flies onto home video this week. Fans will likely dig the adventurous if pithy action adventure. Through a series of daring escapades, Han Solo befriends his mighty future copilot Chewbacca in an epic adventure directed by Ron Howard and written by Jonathan & Lawrence Kasdan. Edgar is recently divorced and returns to his childhood home to where he finds a nefarious looking puppet in his deceased brother’s room. He decides to sell the doll for some quick cash at a small-town convention celebrating the 30th Anniversary of the infamous Toulon Murders. All hell breaks loose when a strange force animates the puppets at the convention, setting them on a bloody killing spree that’s motivated by an evil as old as time. Starring Thomas Lennon, Jenny Pellicer, Udo Kier, Barbara Crampton and Michael Pare, Puppet Master: The Littlest Reich. In 2007, two talented Spanish filmmakers created a terrifying film that went on to spawn three sequels, an American remake and its sequel. In the first film, [REC], a TV reporter and her crew are asked to cover a crew of firemen on duty. What seems like a routine story about a night at the fire station soon turns into a nightmare. Trapped inside a quarantined building, the crew must try to survive the terror that rages inside. Hitting 4K, is The Punisher. 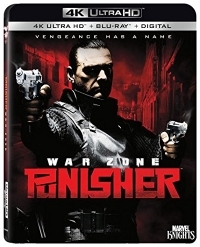 An undercover FBI agent becomes a vigilante assassin and sets out to unleash his wrath upon the corrupt businessman who slaughtered his entire family at a reunion. 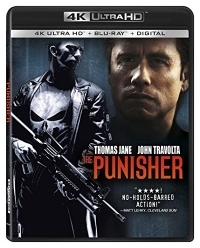 Hell-bent on punishing the gangsters responsible for the death of his family and countless others, Frank Castle finds himself on a violent path of destruction, waging a one-man war against the despicable crime family led by a man known as Jigsaw.